Euro hasn’t been able to return to the level of 1.2950 yet. We think, today the price may continue falling down. 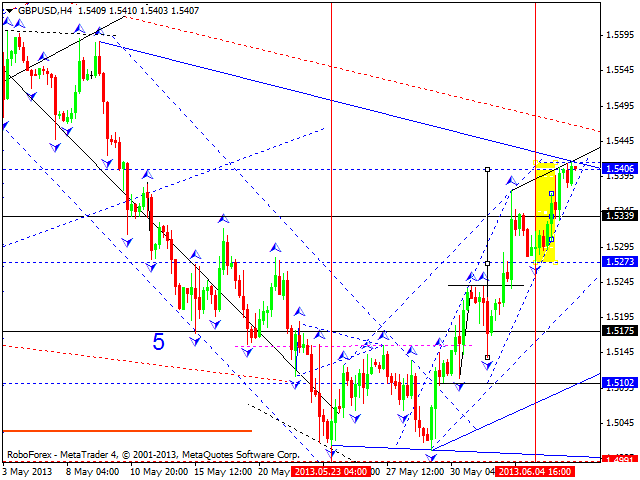 In case it reaches the level of 1.3130, this ascending wave may be completed. 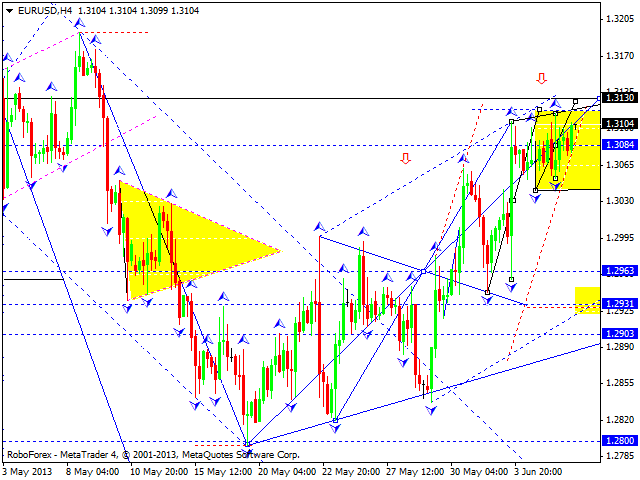 Later, in our opinion, the pair may continue forming a descending wave to reach the target at 1.2700. Pound is still extending its ascending wave; this structure may be considered as a correction towards the previous descending movement. We think, today the price may form another descending structure to reach new minimums; the first target is at the level of 1.5170. Later, in our opinion, the pair may consolidate for a while and then continue falling down. Franc couldn’t continue moving upwards; right now it looks like the market is going to reach new minimums. 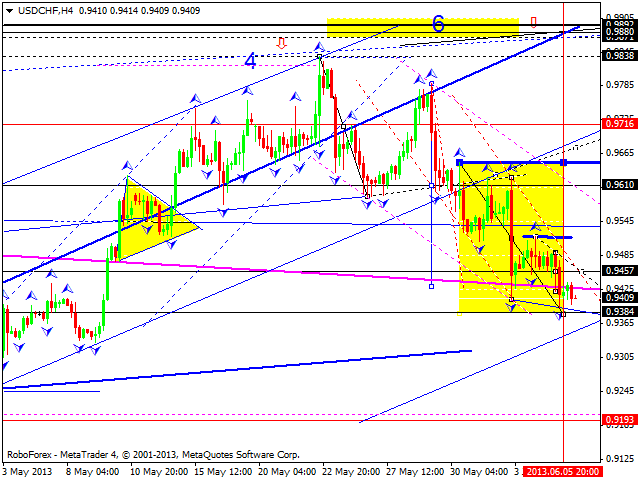 We think, today the price may complete this three-wave correction if it reaches the level of 0.9485. Later, in our opinion, the pair may start forming another ascending wave towards the target at 0.9880. The USD/JPY currency pair couldn’t form anther ascending structure. 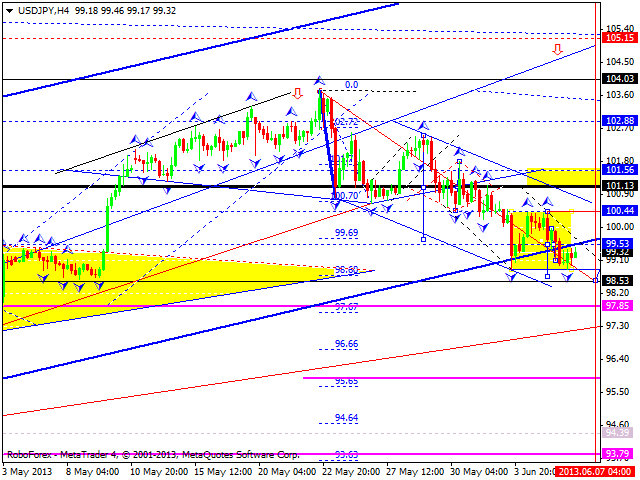 We think, today the price may continue falling down towards the level of 98.55 and complete this correction. Later, in our opinion, the pair may make a reverse and start a new five-wave ascending structure to reach new maximums. 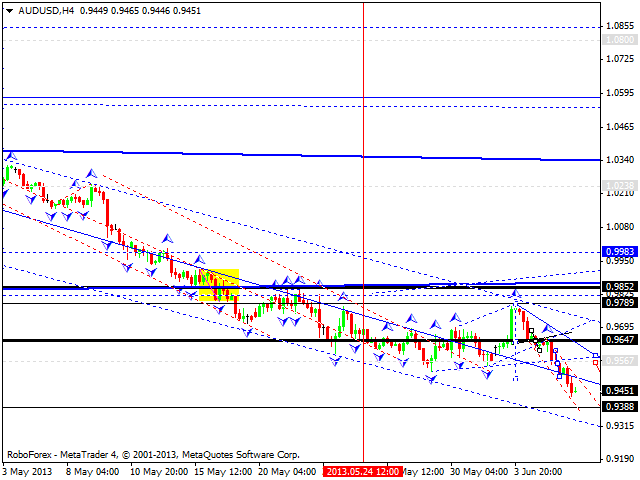 Australian Dollar is still forming a descending structure. We think, today the price may continue falling down to reach the target at 0.9390 and then form a pivot point for a new correction. If the market ails to form it, the price may form a continuation pattern to continue moving downwards with the target at 0.8800. 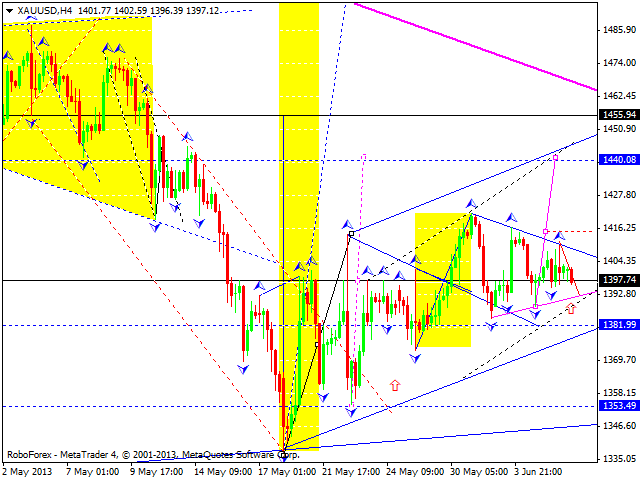 Gold continues moving inside triangle pattern. We think, today the price may fall down towards the pattern’s lower border and then start a new ascending structure to reach the target at 1440. Later, in our opinion, the instrument may return to the level of 1400 and then complete this ascending wave by reaching the target at 1455.